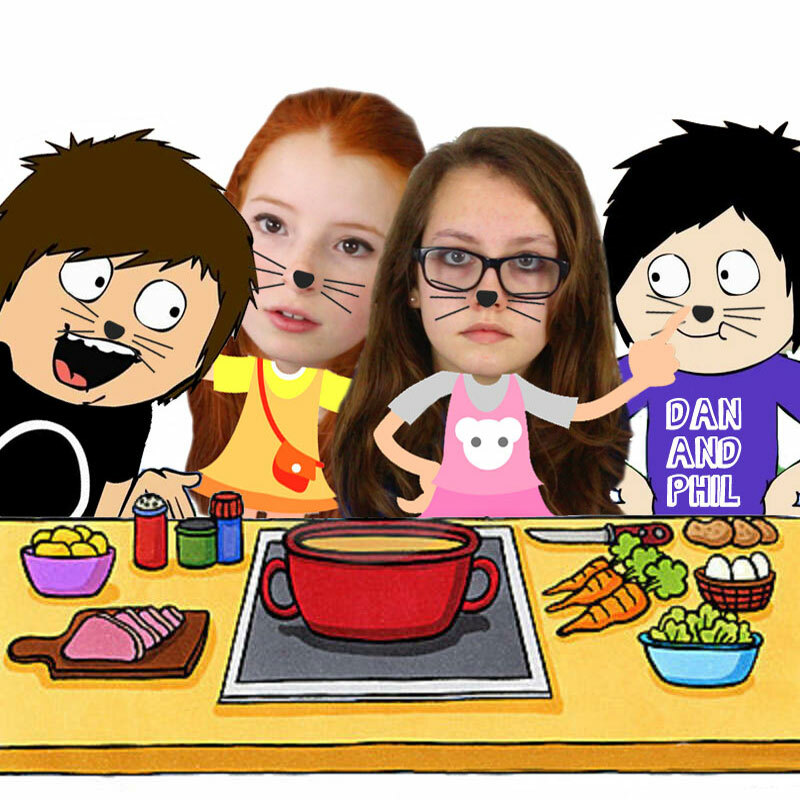 Here we are, hanging out in the kitchen with cartoon Dan and Phil. They are showing us how to cook their signature dish, a nice spicy chicken tikka masala with their secret ingredients - carrots, boiled eggs and gammon ham. Not so secret now lads, sorry about that! Nia and Liv are helping as best as they can, but Nia seems to keep getting in the way and Liv is just annoying Phil, as she likes tickling his cat whiskers and purring really loudly at him. 'But what's for pudding' asks cartoon Phil, because he left the strawberry ice cream at the checkout in the supermarket. Dan thinks for a minute and then says "A nice packet of salt and vinegar crisps. That'll do nicely.' Everyone enjoyed a feast fit for royalty, or maybe fit for someone like Princess Nikki (the one that said 'I'm so coooold' on Big Brother, many, many years ago).